As Kikino continues to expand and grow so too does our need for committed, motivated individuals to support our work. We encourage and welcome interested individuals to request an application to become a volunteer or submit a resume at any time. None at this time - please check back soon!  Funds Métis students to attend post-secondary institutions, trades programs and obtain tickets. Provides pre-job and on-the-job training to enhance oppurtunities for aboriginal clients who are unemployed, self employed or under-employed. Kikino is the smallest child & family service agency serving the entire Prince George region and beyond; volunteers serve an important and vital role in our operations. We invite you to contact us to see how you can become an integral and valued member of the Kikino team! All volunteers must provide a current criminal record check. Kikino is the smallest child & family service agency in Prince George!